Craig offers a discount of 50% on their first / introductory lesson! I am a graduate of the Juilliard School and the Guildhall School of Music and Drama, having worked throughout the United Kingdom and the United States. I have had the privilege of learning from the worlds foremost brass artists and teachers and enjoy the challenge of passing along my global experience to my students! I teach all brass instruments at all levels, from complete beginner to expert, I have worked with people of all ages, and work at a speed the student is comfortable with. From the legendary band programs of Texas to my hometown in Glasgow! Extremely friendly, quite funny (some have told me) and with a proven track record of success with students, allow me to introduce a new philosophy of brass playing to you. I am an experienced performer and have performed with some of the world's top orchestras and ensembles including: The Royal National Scottish Orchestra, The Houston Symphony, The Houston Grand Opera, Hawaii Symphony, Hawaii Opera Theater, River Oaks Chamber Orchestra, Houston Ballet and many others. Formerly Adjunct Professor of Brass at the following institutions: Houston Baptist University, Lonestar College and Lee College. 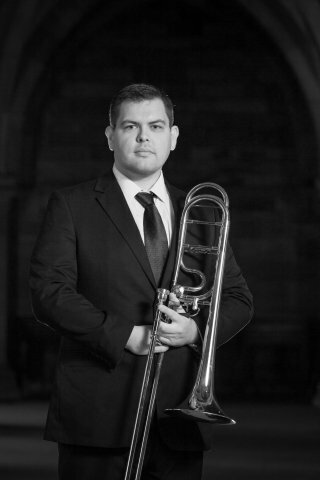 Formerly Brass teacher and consultant at the following institutions: Cypress-Fairbanks Independent School District (Texas), Katy Independent School District (Texas), Humble Independent School District (Texas), The British International School of Houston. I use an extremely well-developed philosophy and method to teaching brass instruments, cherry-picked and customized from the greatest brass teachers in the world. My fundamental approach is 'Less is More'. The less we get in the way of the instrument, the better it sounds and the easier it feels - the more you will want to play! I see so many students fighting against their own embouchures, going red in the face with effort. One thing you'll notice about professional players is that they almost never do this except in extreme circumstances. I'll show you how and why. - No contracts or commitments! Arrange lessons when you want them. - Instrument purchase/rental advice provided. - Flexible scheduling: days, afternoons, weekends, mornings, evenings. - Get to know your neighbours better than ever. - Criminal background checks available. - Will travel to you anywhere in Greater Glasgow, or further for a modest fee. - Friendly, expert brass tuition from a globally trained and renowned artist.